API - Event collections sent in via the API. Follow how to record an event here. Properties - The properties that will be included in the new event. Type - eg. Integer, Float, String. The event will be rejected if the type cannot be classified, so it is important you set the correct 'type'. 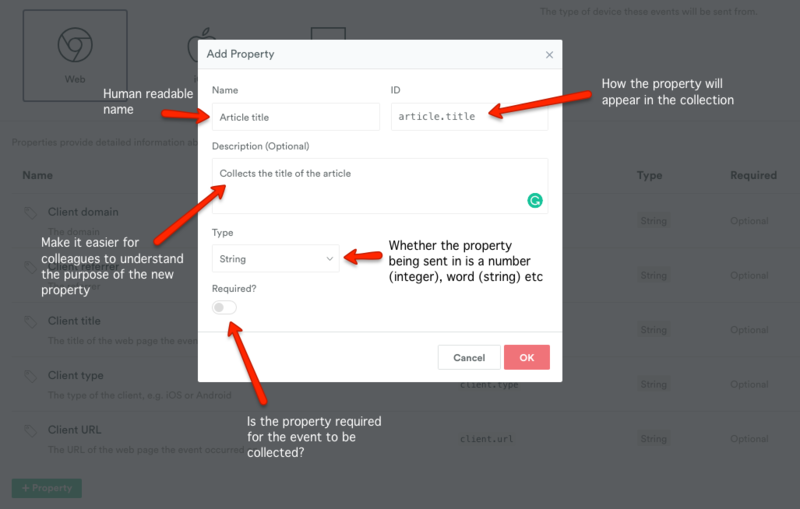 Required - If toggled 'on' (green), the property will need to be collected for the event not to be rejected (if passed in 'null', the event will be rejected). We recommend leaving this 'off'. Select OK → Create to save the new event. 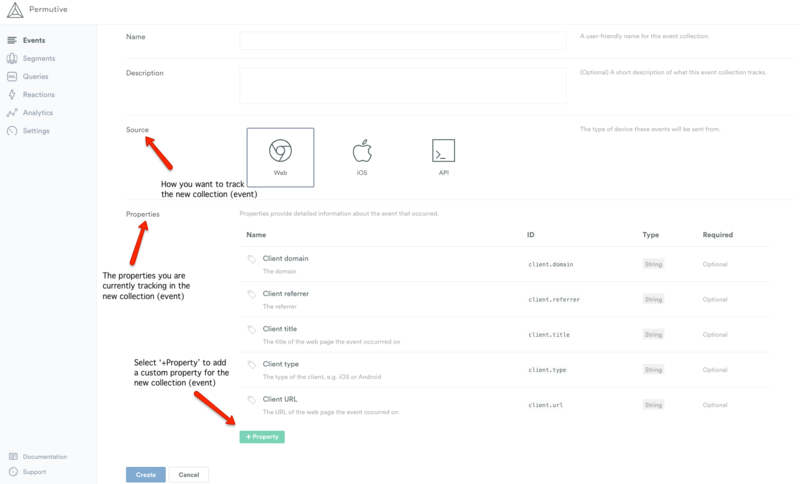 Once the schema has been created, work with a developer to send in the relevant properties via the correct Source (Web, iOS, API). If using the API Source to collect a new event, the resulting collection cannot be used in segmentation. One saved, a user cannot delete an event or it's relating properties.